With the start of the 2014-15 season just a few days away, hope springs eternal in Bowling Green, Ohio where Miami man, Chris Bergeron, has the Falcon faithful dreaming of an NCAA tournament berth for the first time since 1990. Bergeron, 43, spent four years as a player at Miami in the early ’90s as a teammate of current Miami head coach, Enrico Blasi. Then after several seasons of professional hockey, he gave the program another 10 seasons as an assistant coach before leaving Oxford for the barren wasteland that is Bowling Green before the start of the 2010-11 season. At Bowling Green, Bergeron has revitalized a once-proud program by guiding them to their first plus .500 season in a decade, and in the now lesser WCHA, has a reasonable chance to take the Falcons into the NCAA tournament. The Falcons finished 2013-14 with a respectable 18-15-6 record and played in the WCHA’s “Final Five” after sweeping a home playoff series against Michigan Tech before falling to eventual Broadmoor Trophy champion, Minnesota State 4-0. Over the past decade, this series has belonged to Miami. The RedHawks have dominated the Falcons as the football team has done to them year after year on the gridiron. Yet, because of the former dominance of the BG program in the ’80s and early ’90s, the all-time series still favors Bowling Green 58-46-8 as the Falcons would routinely crush the then Redskins when Miami’s program was just getting started. At the same time, BG was winning national titles coached by legends such as Ron Mason and Jerry York, and was, well, relevant. And, because they showed us no quarter “back in the day,” I have no feelings of remorse reminding everyone that Miami has owned their longtime MAC rivals for the better part of the last decade. While the teams haven’t played since the 2012-13 season, the final season of the now defunct CCHA, Miami is 12-1-1 against the orange and brown in the past 14 and you have to go back to the 2007-08 season to find the Falcons last non shootout victory over the Red and White. But, this is a new Bowling Green. They’re headed by a Miami man in Chris Bergeron who was a successful college star and helped lead Miami to back-to-back Frozen Four appearances as an assistant. He knows how to coach and he’s successfully turning the BG program. Around? Stay tuned, but they are certainly in a much better place today than how he and former Miami icer Barry Schutte, found them. The BGSU Ice Rink, est. 1967, has been in need of improvement for years. 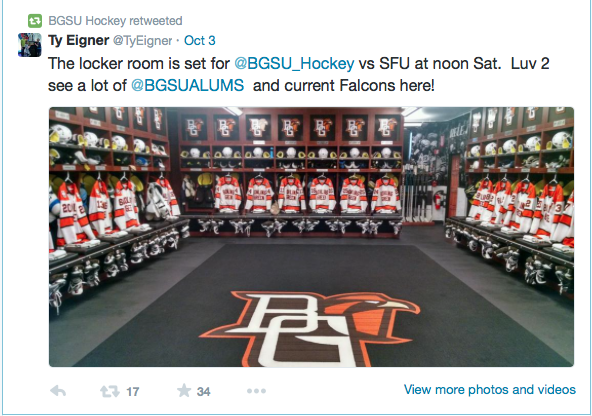 Along with more success on the ice, Bergeron has overseen substantial renovations at BGSU Ice Rink including new locker rooms. And, while (thankfully) the old curling parlor is still in use by the BGSU curling team, it has been largely changed over into another skating sheet to help save wear and tear on the main rink. As for the team on the ice, Bergeron has nine of his top thirteen scorers returning from last year’s fourth place WCHA squad. Most importantly, both Falcon netminders are back including Tommy Burke who finished 2013-14 with an impressive 14-7-6 record with a 2.43 GAA and .912 save percentage. Burke figures to get the bulk of the work this year with back up Tomas Sholl (4-8, 2.68 GAA and .896 save percentage) relieving him from time to time. Bowling Green returns their top goal scorer (14) from a year ago in junior Mark Cooper and top points man (32) in senior Dan DeSalvo whom Miami fans should remember from the CCHA. In addition, the Falcons return two other 10 goal scorers and their top returning threat from the blue line is Pierre Luc-Mercier, who just deserved to have his name typed because it’s so cool. Departed are clutch scorer Ryan Carpenter along with top defensive scorer Ralfs Freibergs and Marcus Perrier, but the Falcons appear to have some depth that should worry Miami this weekend. On the recruiting trail, the Falcons are not loaded with top tier recruits, but have a large freshman class consisting of 10 players who are hoping to make an impact on the college stage. But then again, Miami won with lower-tiered recruits during Bergeron’s time in Oxford as the program has become a destination for the nation’s top junior players. I’m certain Bergeron is getting the type of player that he feels best fits his system as he builds their compete level and a culture of consistency in northwest Ohio. When taking about this year’s squad, these previews nearly write themselves. As you’re well aware, the RedHawks will run out top end forwards Sean Kuraly, Blake Coleman, Riley Barber, Anthony Louis and Austin Czarnik and expect to get bounce-back seasons from junior goaltenders Ryan McKay and Jay Williams. Everyone in RedHawk nation must hope the defense corps will improve with the additions of super Freshman Louie Belpedio and Boston College transfer, junior Colin Sullivan. 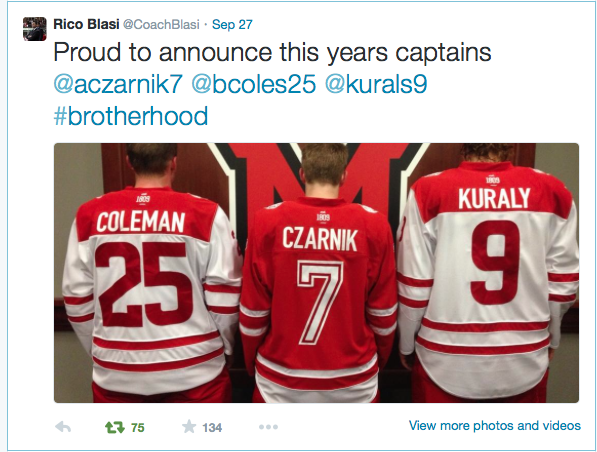 Returning RedHawks like Matt Caito, Trevor Hamilton and the Joyaux brothers must be improved or Miami will find the going tough once NCHC play begins on Halloween in Duluth. Looking back at the weekend, some of Miami’s old defensive problems resurfaced in a 3-0 loss to the US Under-18 team and 11-0 thrashing of Simon Fraser (whom the Falcons also defeated 7-2). In the exhibition opener, Jay Williams allowed all three goals playing the entire game, but Miami was unable to solve the younglings defense. On that team is incoming Miamian Jack Roslovic who contributed a shot on goal for the Red, White and Blue. Hopefully the US game was just a matter of Miami finding its legs, but the RedHawks have struggled against top-talented teams over the past year and some defensive letdowns were apparent. Overall, Miami is much more talented than the Falcons. However, you know Bowling Green will be fired up to face another out-of-league school who also happens to be a longtime rival in their building on Friday night. 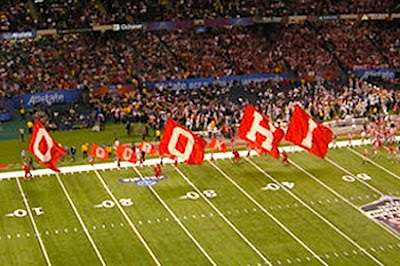 I expect a close game with Miami winning 4-3 Friday and then taking it to the Falcons 5-1 on Sunday in Oxford. Note: This is a Friday/Sunday series with Friday’s game starting at 7:07 PM EST at Bowling Green. Sunday’s affair starts at 5:05 PM at Steve Cady Arena. All games can be seen and/or heard via Miami All Access and you can watch Friday at WCHA.tv (which is a heckuva lot more expensive than the NCHC’s package which also provides superior hockey) and watch Sunday on Time Warner Cable or NCHC.tv.